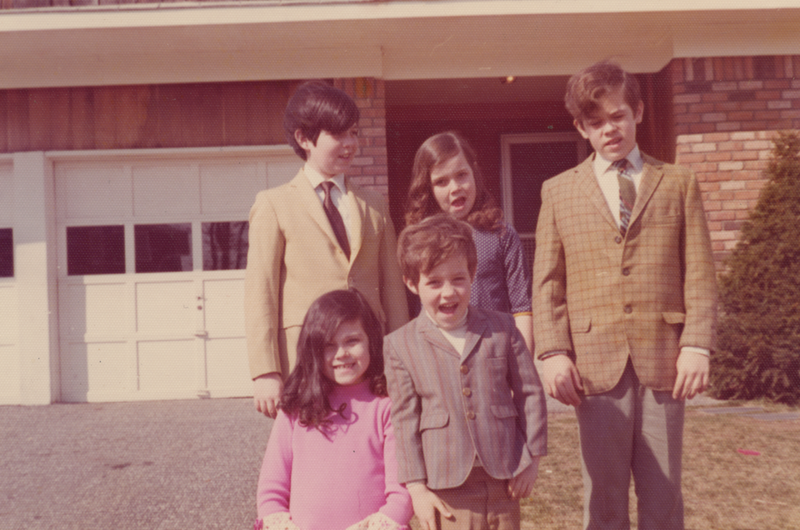 I was born in Flushing, Queens and raised with my four siblings in Commack, Long Island. My parents were both first generation Irish immigrants, whose parents had to leave Ireland because of their religion. My Dad was the first in his family to go to college, and my Mom was a progressive homemaker. Unfortunately, when I was 12 my Mom died quickly of pancreatic cancer. My Dad was never the same, and my siblings and I largely raised ourselves. I put myself through college, and earned a B.A. in Public Affairs from George Washington University. In undergraduate school, I fell in love with someone who happened to be a man- my now husband John. After college, John and I moved to New York City together because it was one of the few places in the country where we could live safely as a gay couple. In 1983, the City University of New York opened a public interest law school which I could afford. Thanks to the flexibility of the CUNY system, I was able to hold a job while taking classes, allowing me to pay a modest $250 rent for an apartment in Greenpoint, Brooklyn. In 1987, I was a member of the second graduating class of CUNY Law and became the first member of my family to earn a law degree. After law school, I didn’t take my degree and go make big money on Wall Street. I wanted to give back, so I worked as a Public Defender in the criminal defense division of Brooklyn’s Legal Aid Society. For seven years, I represented New Yorkers who the system had failed and defended those without financial means. I was committed to using my law degree for public service, and went on to open a public interest law firm on the Upper West Side. My community practice helped clients with tenant representation, as well as civil rights litigation ranging from employee discrimination to First Amendment rights. I ran for office even though I was told that a gay man could never win, and in 2002 I proudly became the first openly gay man elected to the NY State Assembly. Since then, I have never stopped being a progressive voice for civil rights reforms. I’ve been the prime sponsor of trailblazing bills, most notably the Marriage Equality Act, a bill I led to passage in the Assembly five times before it was signed into law in 2011. I was the sponsor of NY’s anti-bullying law, the Dignity for All Students Act. I also lowered NYC speed limits to 25mph, expanded sexual harassment protections to unpaid interns, mandated mental health discharge plans for incarcerated individuals, and most recently passed the Domestic Violence Escalation Prevention Act- banning those convicted of domestic violence from owning any type of firearm. After I passed Marriage Equality, I was finally able to get the piece of paper I needed to marry the love of my life. Our struggles for equality, and the struggles of those I’ve worked with as a Public Defender and as Chair of the Corrections Committee have never left me. After 16 years in the Assembly I’ve decided to run for Public Advocate because I’ve seen at the local, state and federal levels Executive power go unchecked and civil rights ignored. I don’t compromise on people’s civil rights, which is why I’m leading my campaign by advocating for Equality for All.